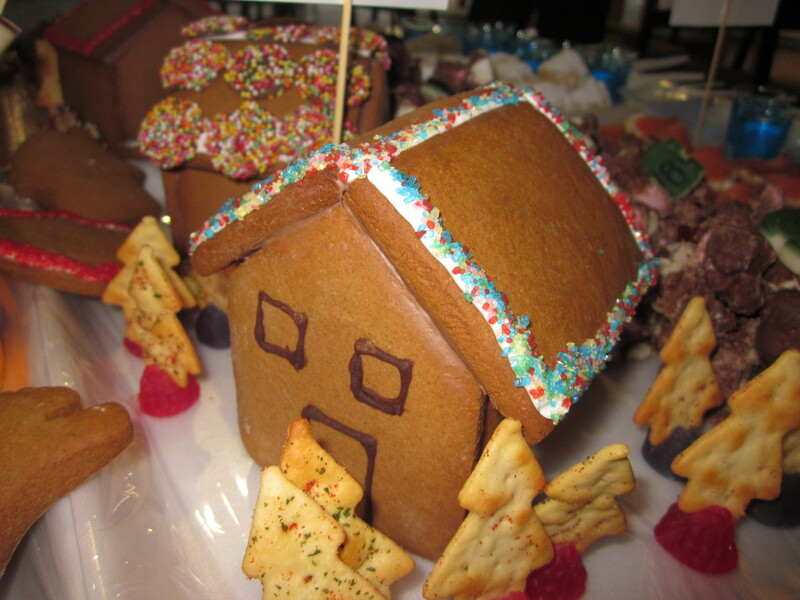 M&Ms, chocolate freckles, coloured sugar etc to decorate – the choice is yours! 1. Preheat the oven to 160C fan forced (180C). Line at least two baking trays with baking paper (grease them first with baking spray so that the paper doesn’t move during cooking, as you want the pieces to cook flat). Cut out your templates (see link or dimensions above). I prefer to use a firm clear plastic sheet to make my templates so they can be washed and re-used. 2. Place the golden syrup and butter into a small/medium sized saucepan and heat over a low heat (stirring occasionally) until the butter has melted and the golden syrup is runny. 3. 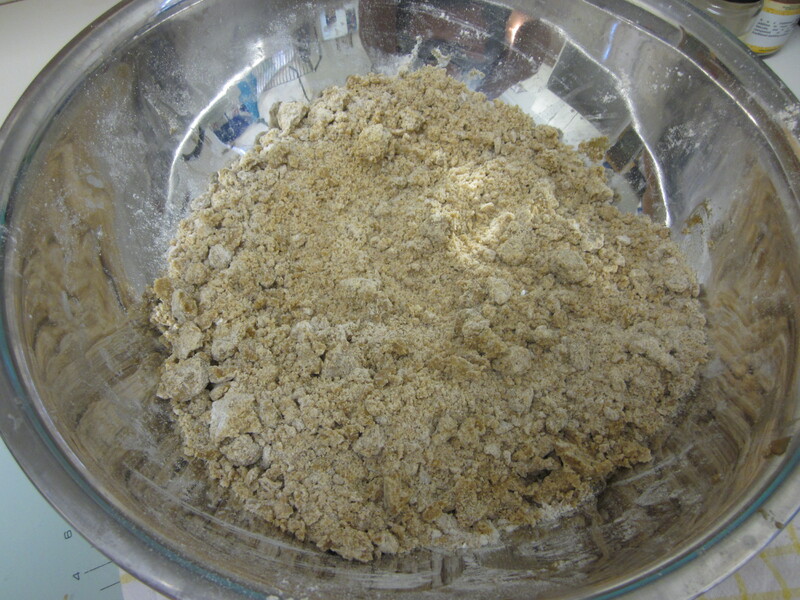 Meanwhile, sift the flour, baking soda and powder and spices into a large bowl and add the brown sugar. Mix to combine and then add the runny golden syrup/butter mix. 4. Stir to combine (with your hands is easiest) and add a small amount of water to help bring it together into a soft paste/dough. You will need to keep adding the water a bit at a time until it comes together. Mix before adding any water – definitely too dry! 5.Once it has come together, gently knead it into a ball on a clean surface. 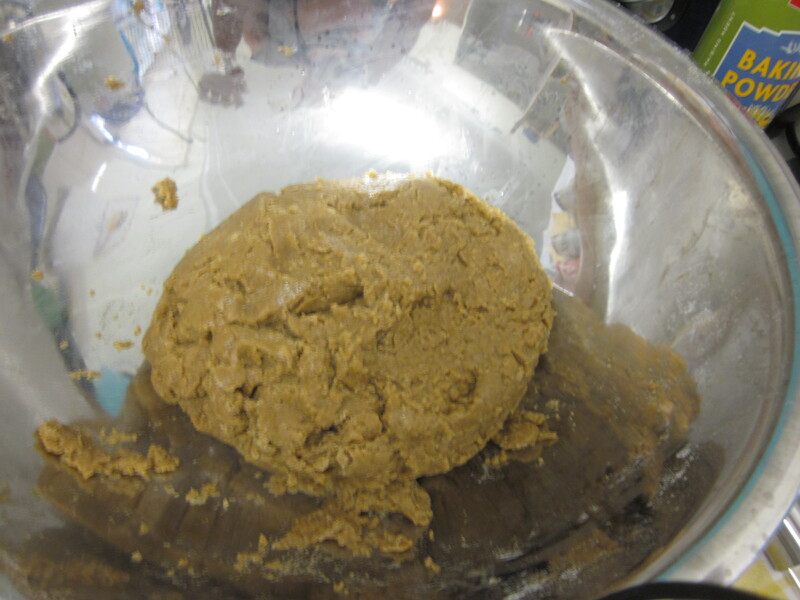 (I separate it into two balls at this stage so it is easier to roll in a smaller batch later). 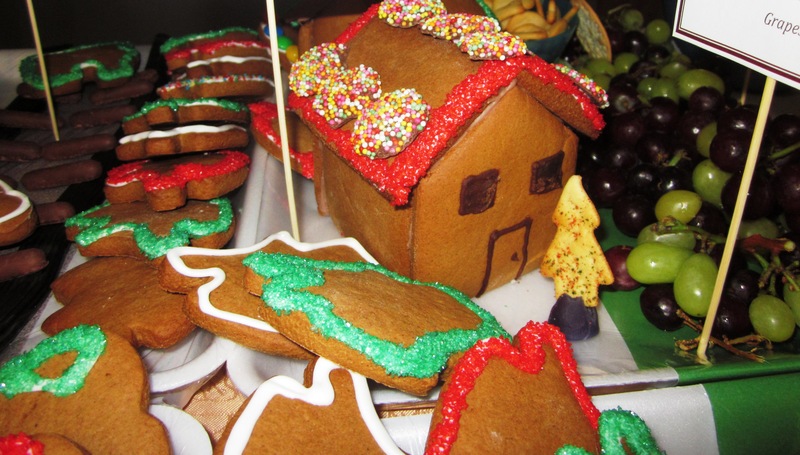 If it is too tacky add a small amount of flour just to help bring it together. Add enough water to create a soft, tacky dough. 6.Cover with cling film and place in the fridge for at least 10 minutes to firm up slightly. 7. If making ahead to use later, take it out of the fridge at least 30 minutes before you want to use it. 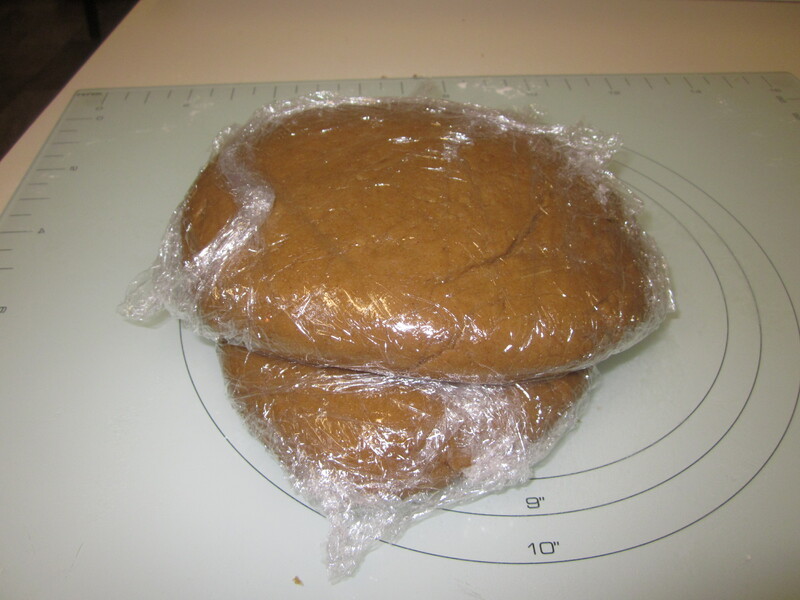 If it is still too cold/hard when you want to roll it, place it in the microwave on a low power for about 20 seconds and this will make it easier to handle. 8. 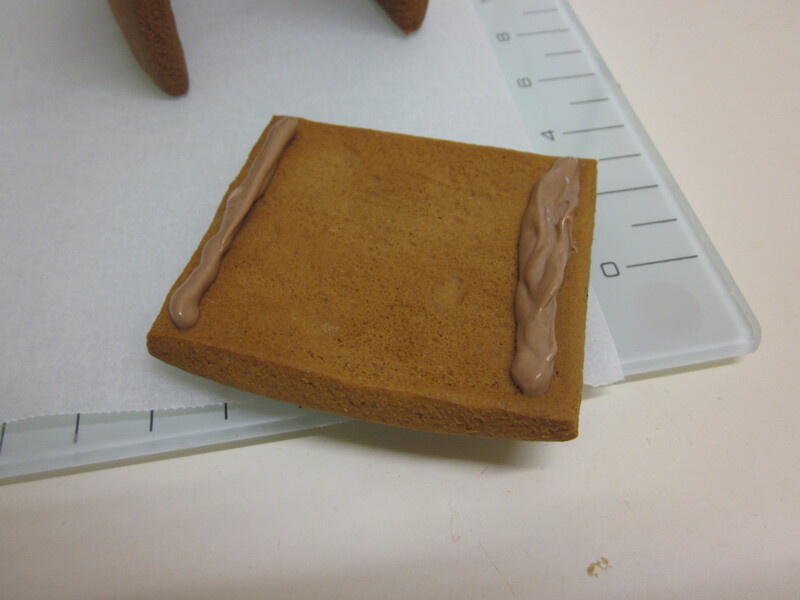 On a clean, lightly floured surface, roll out the gingerbread to about 1/2cm thick and then cut out the pieces to form the house (or biscuits). Make sure you keep turning the dough by a quarter as you roll, to ensure it rolls out evenly and doesn’t stick to the surface. You will occasionally need to add some flour on top and under the dough so it doesn’t stick, but try not to use too much. for the A frame house you will need 3 rectangles (base and two sides) and two triangles (front and back). for the smaller house (template here), you will need four rectangles (two for the sides and two for the roof) and two of the front/back. it is recommended you do at least one extra of each piece as a spare just in case. 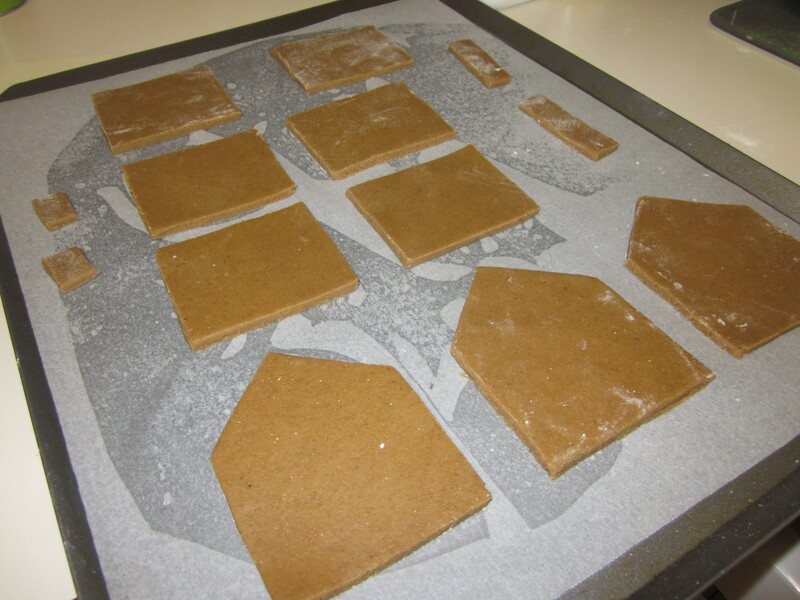 Ready for baking – the smaller pieces were just extras that I included to taste test. 10. For the biscuits, cut out with whatever cutters you want to use (dust the cutters with flour so they don’t stick). However, bake the biscuits separately from the house pieces, as the houses have to cook for longer to be firm enough so that they hold their shape. 11. 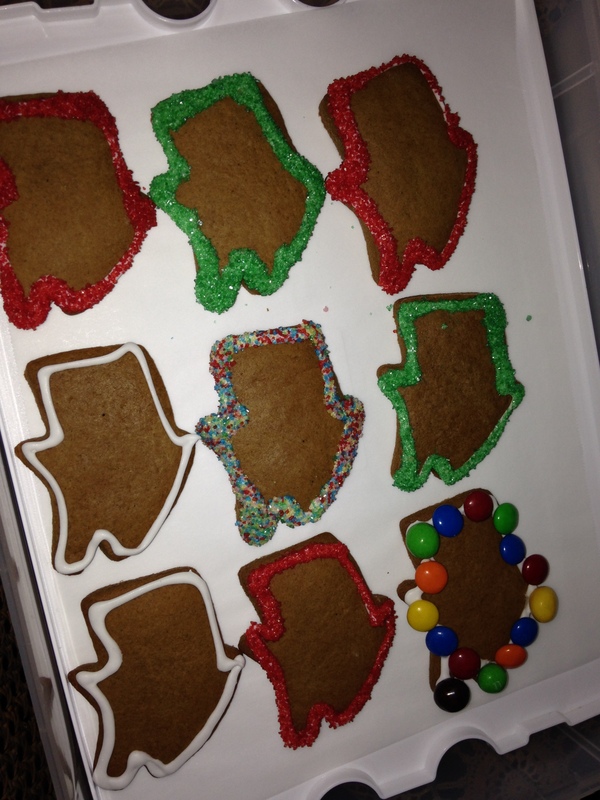 Bake the house pieces for 30 minutes (they need to be dry and well coloured) and the biscuits for 15 minutes. 12. 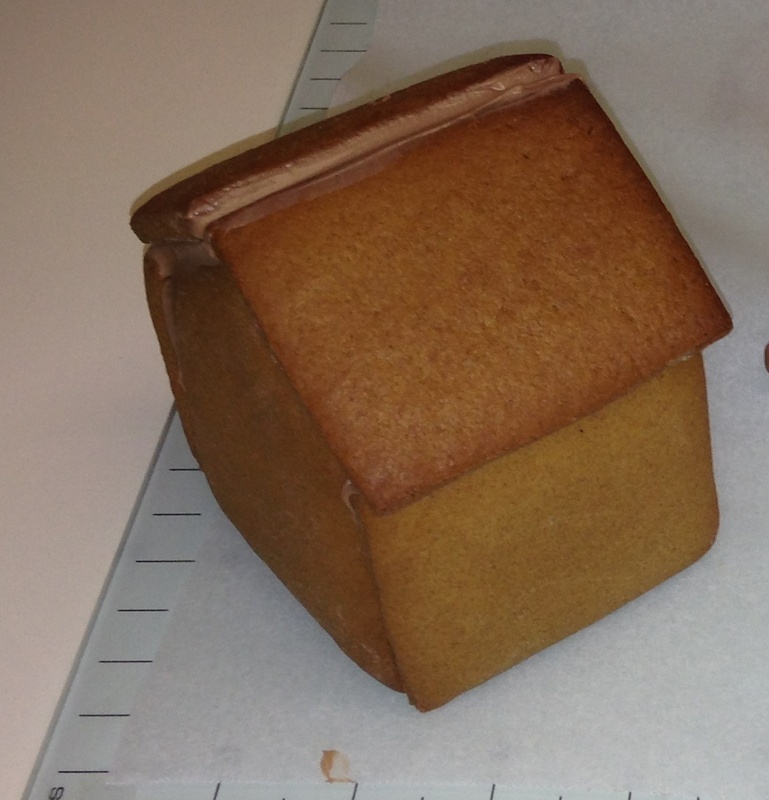 Allow to cool completely before assembling/decorating. Assemble with melted chocolate (see photos below). 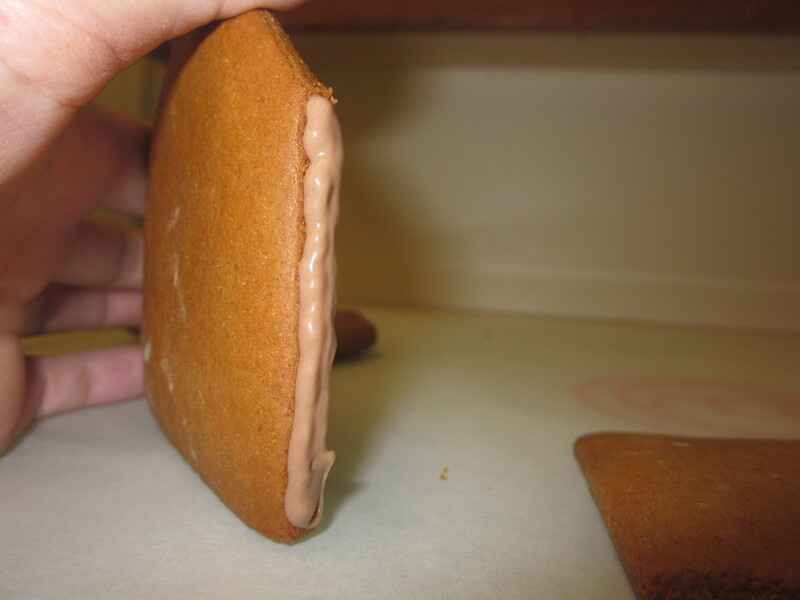 This will take time as you will need to hold the pieces in place until the chocolate has set enough to support them. 13. 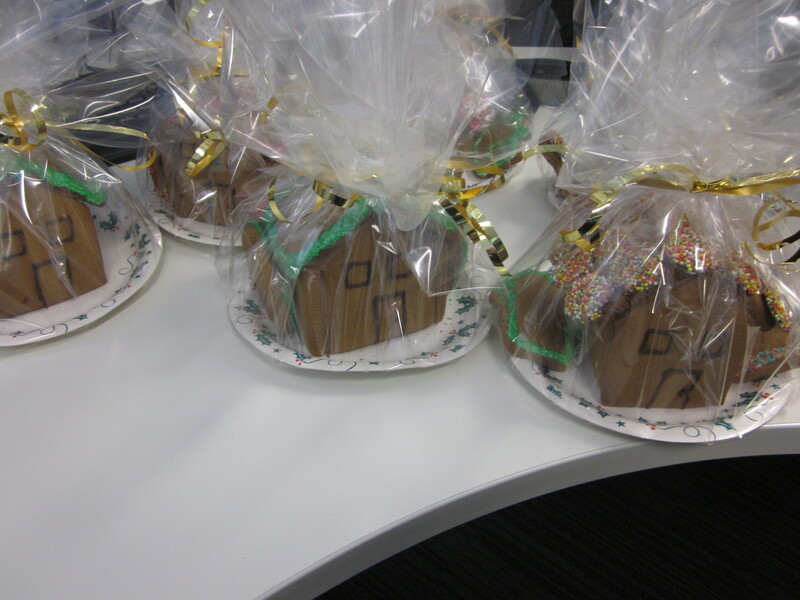 Once they are assembled, decorate with melted chocolate, sweets, whatever you like. 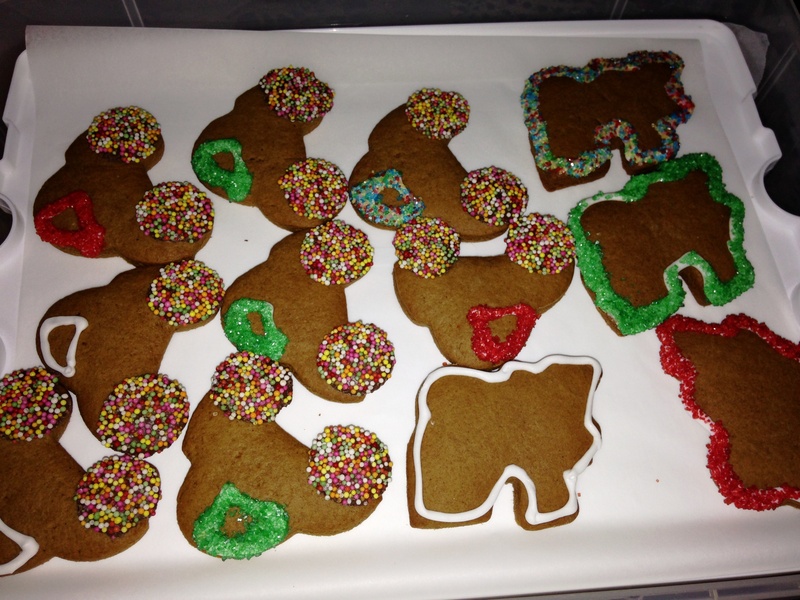 You can use melted chocolate or royal icing to decorate as well as to stick other chocolates/lollies on the house. 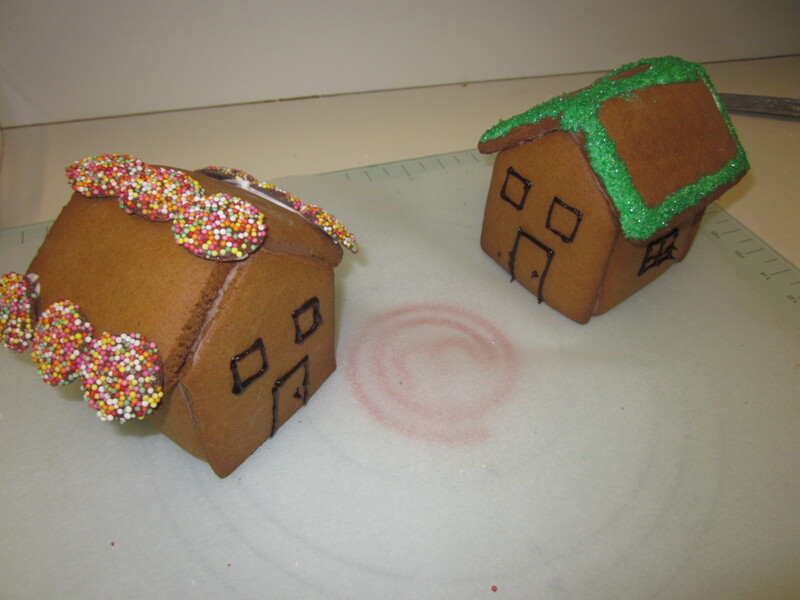 For a snow effect, you can also dust them with icing sugar. 1. Pipe the chocolate along one side of the front piece. 2. 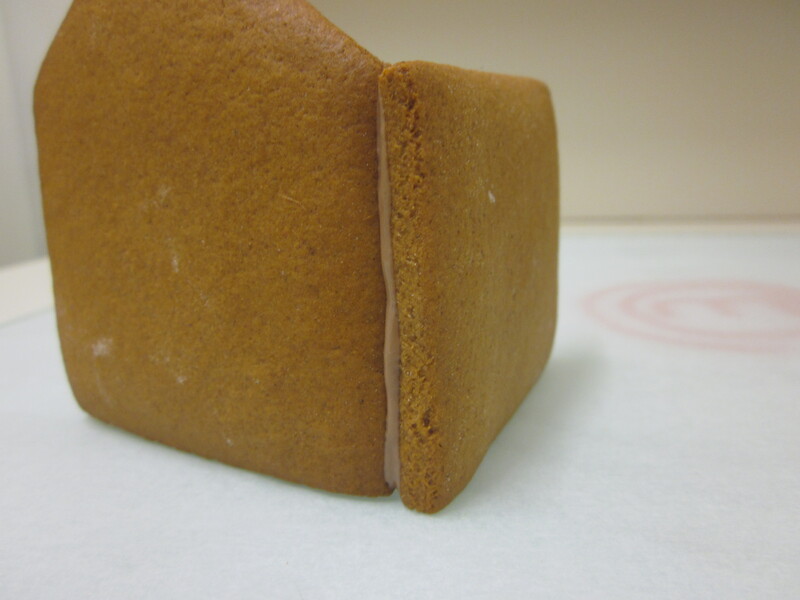 Attach one of the side pieces to the front. 3. 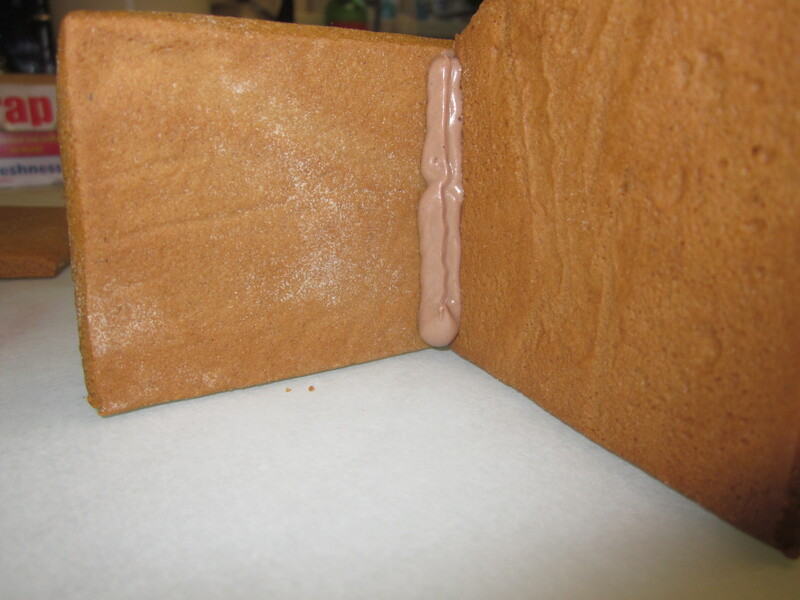 Pipe additional chocolate inside the join to strengthen and allow to set until firm enough to stay in place. 4. Pipe chocolate along the edge of the side of the back piece and join with the other end of the side piece to match the front. 5. Again pipe chocolate inside to strengthen the join and allow to set before continuing. 6. Pipe chocolate down each side of the remaining piece. 7. Base assembled ready for the roof. 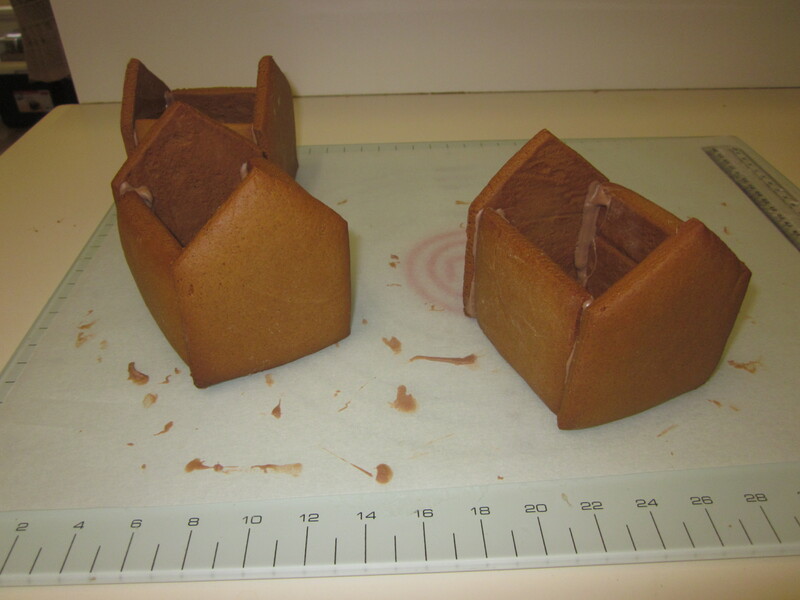 Pipe chocolate onto the top of the side pieces and front and back where the roof will go. 8. 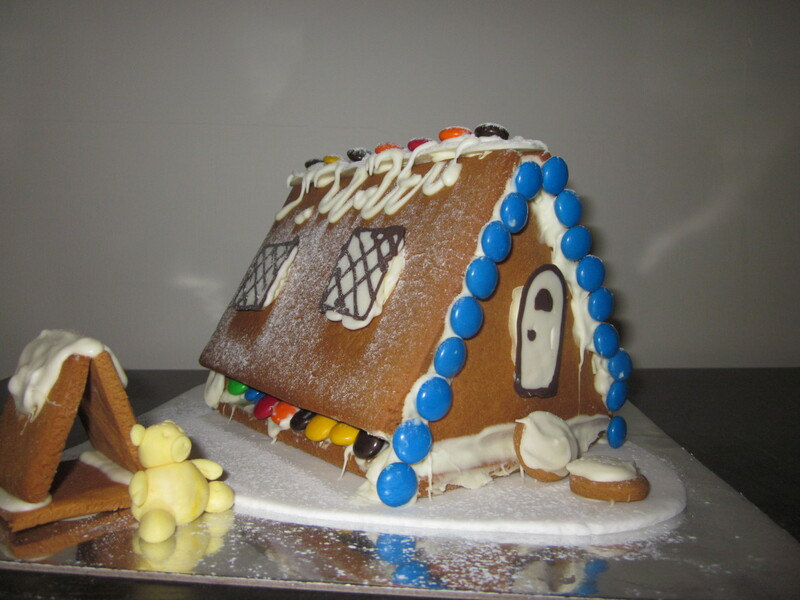 Place both roof pieces on and hold until they stay firmly set. 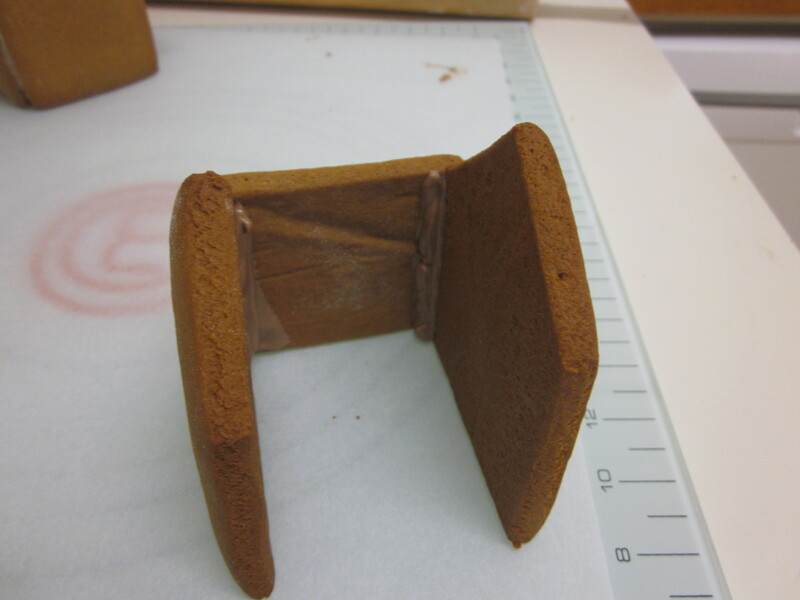 Pipe additional chocolate to fill in any gaps on the top (between the two roof pieces) and at the front/back. Once it has set, you can also pipe extra chocolate inside to strengthen. 9. 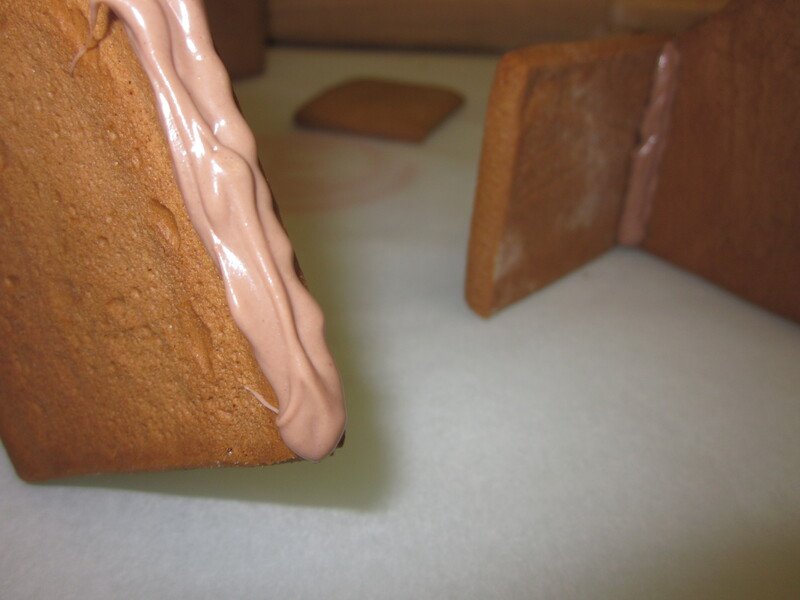 Once set firm, decorate with chocolate, royal icing, coloured sugar etc. Have fun!